Streaming is garbage. I should be able to load up my mastodon client and download all the latest toots like a qwk packet. Hey! 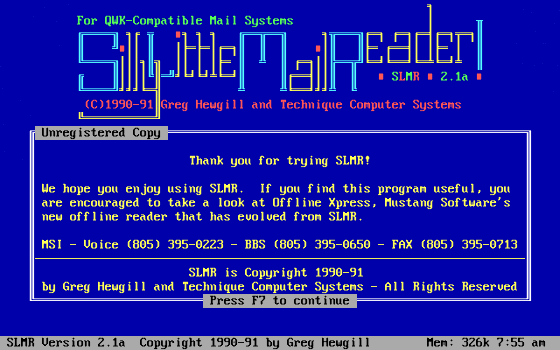 Wasn't this the thingy that let you download BBS messages en masse so you could read them at your own pace? The thing I didn't like about this was the colors. You completely lost the BBS's personality. I wanted my ANSI colors. @xomputer Been a while since I've remembered that .QWK was a thing, thanks for the memories. Nightmare Zone is a Mastodon instance for people with Poison Brain.